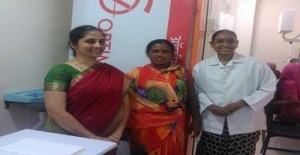 Dr. Deepa Patil is ‘one-of-its-kind’ person and a Doctor. A Merit holder in school, a University topper in Homeopathy, and a successful & well known doctor. She is very ambitious, much focused and very determined. As a doctor, she is always ready to listen and help her patients. 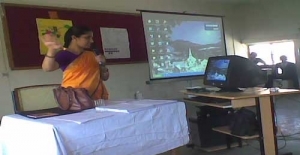 In her continuous efforts to educate and help various sectors of the society on topics like Healthy/Stress-free living, she has conducted various informative seminars like “Stress Management”, “Holistic Healing”, “ABC of First Aid”, “Importance of Outdoor Games” & “Niramay Jeevana Saathi” etc. Spread general awareness about health care “Trio of Health” – physical, mental and spiritual health, thus contribute towards ‘healthy India’. -‘Physical health’ through appropriate diet, adequate exercise, brisk walks etc. 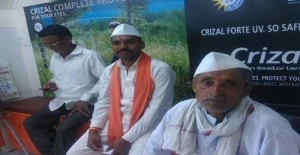 -‘Spiritual health’ with meditation and attending annual spiritual camps etc. 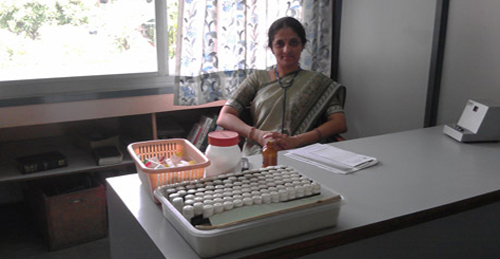 Dr. Deepa Patil is an Honorary Homeopathic Consultant at Ramkrishna Math Pune. 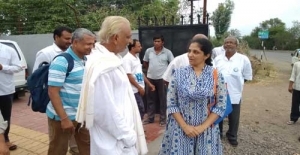 She visits Ramkrishna Math weekly to take up her clinical duties. 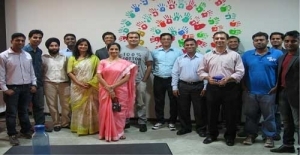 Dr. Deepa Patil has conducted various seminars for employees working at Govt. as well as Private (Corporate) offices. She has conducted seminars on important topics like : Stress Management, General Health Awareness, Women’s Health, Swine Flu etc. which are not only important from knowledge perspective, but can also help employees make self aware towards their health, which in turn helps them to perform better and contribute more towards their company’s productivity.